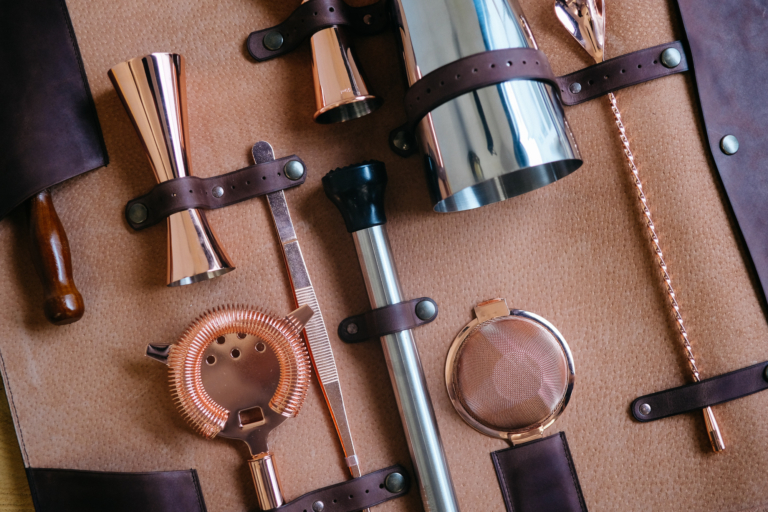 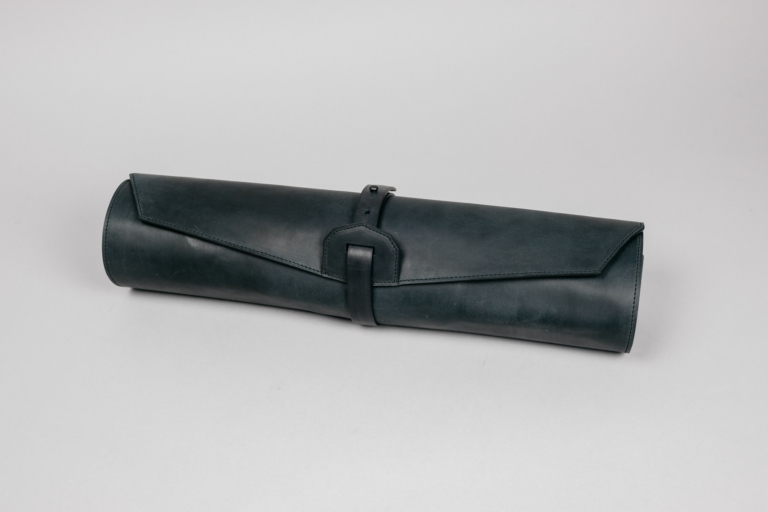 We are pleased to introduce you our new creation, a leather knife-roll. 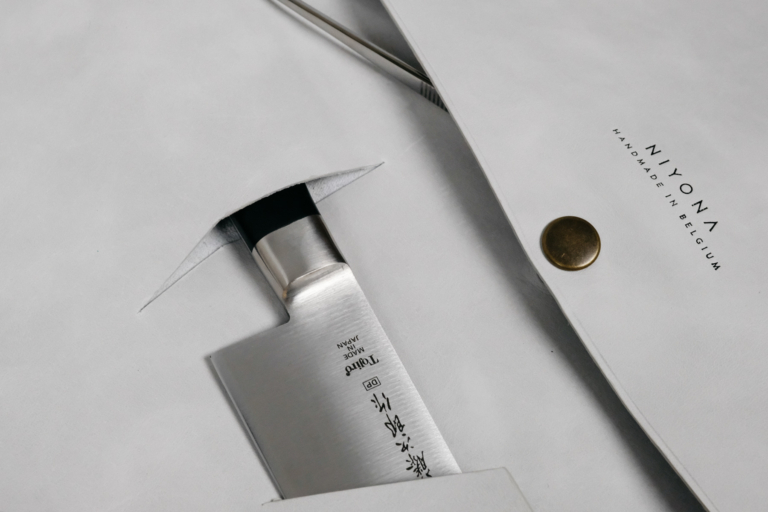 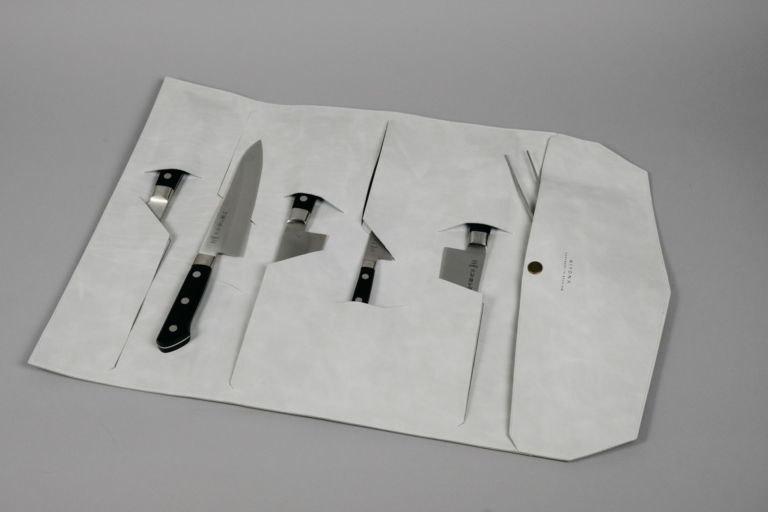 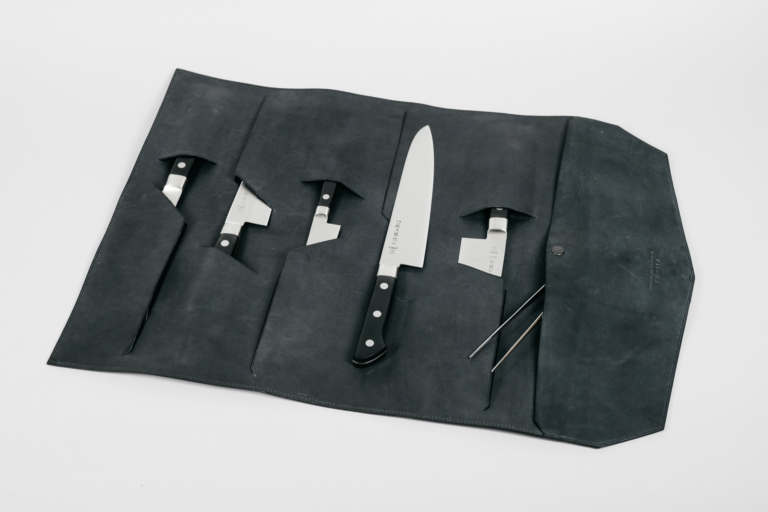 Designed to hold 5 standard kitchen knives and having a large side pocket, it will protect your knives and cooking utensils for an easy, light and well-organized transport. 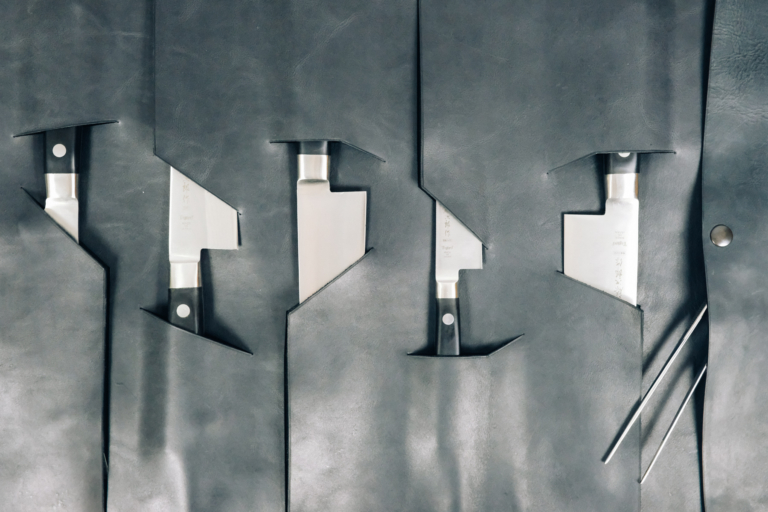 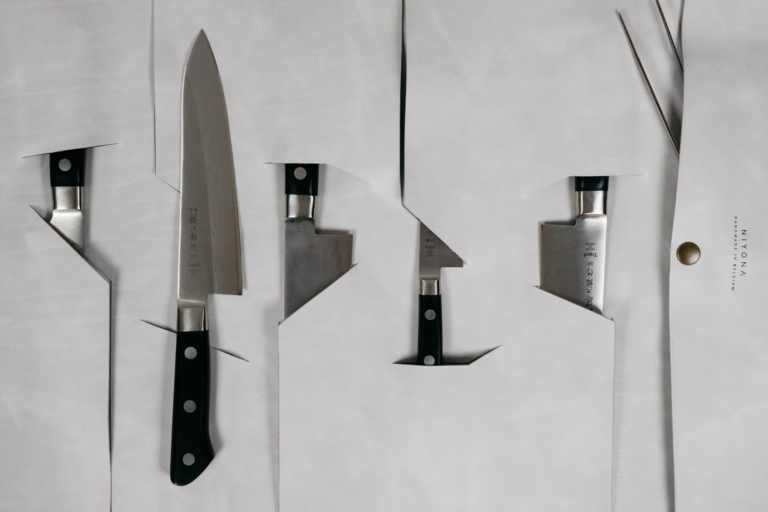 Handcrafted in our workshop, our knives holders are available in two colors, black or white and red. 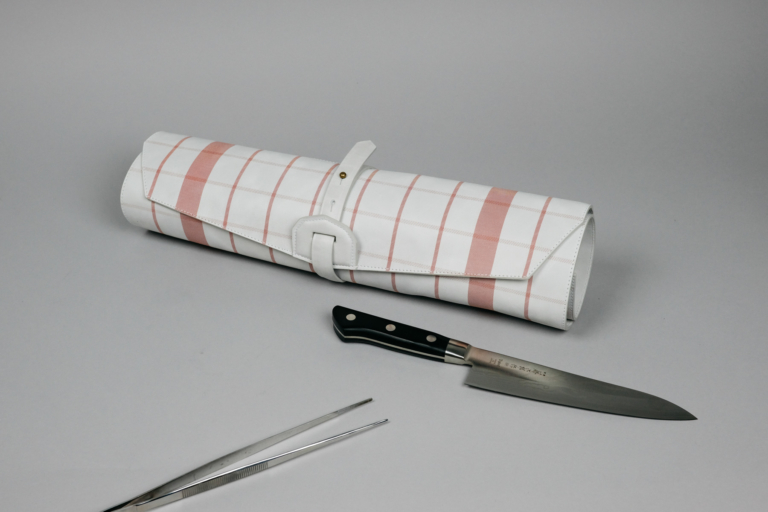 The red printing representing a tea towel pattern was carried out by BIIM, an artisanal silkscreen workshop in Brussels. 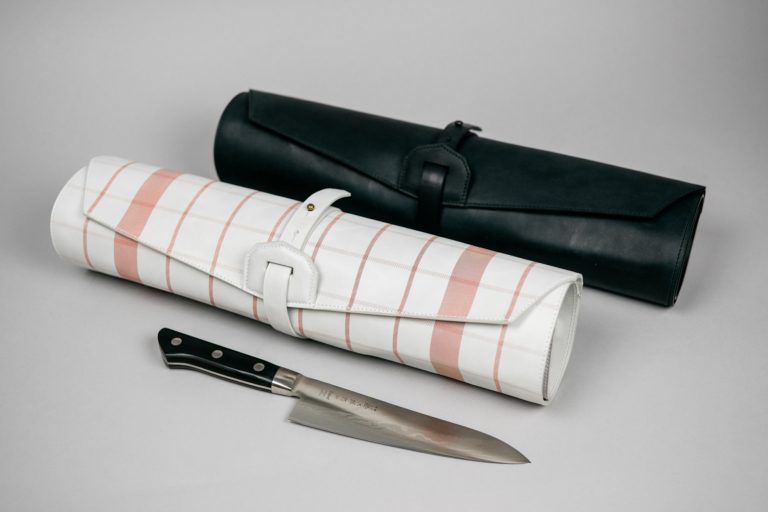 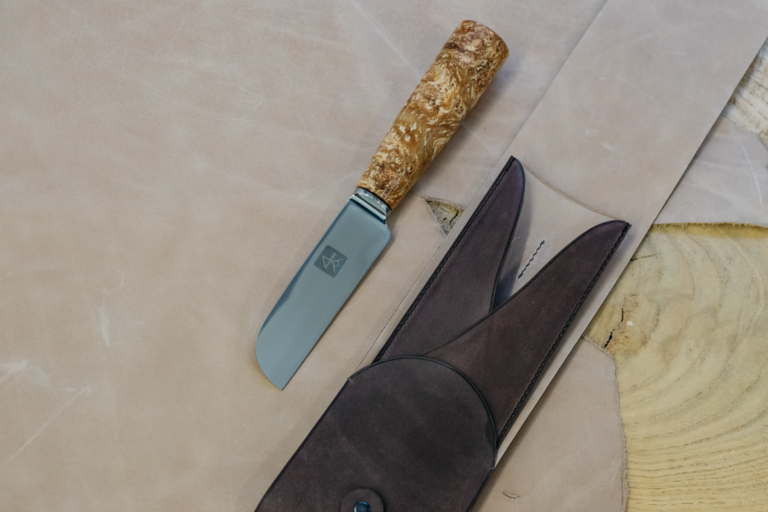 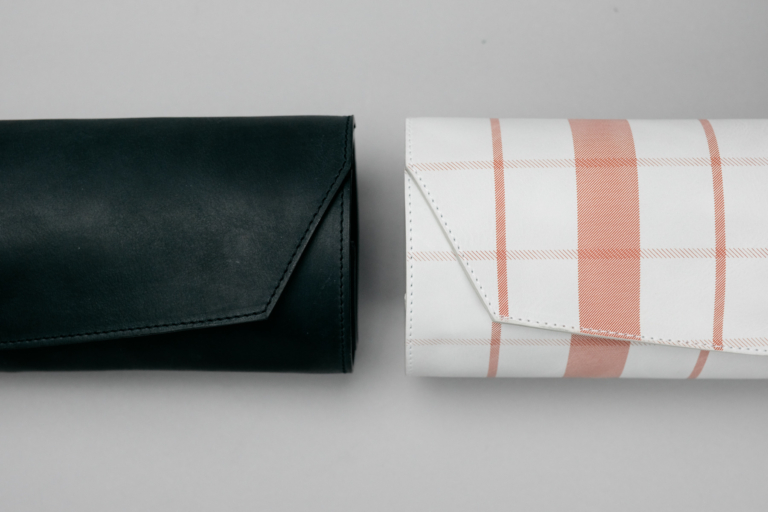 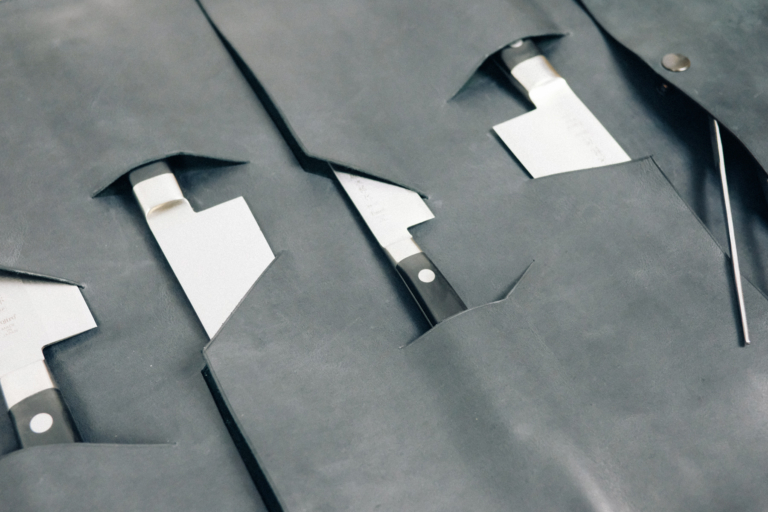 Sold on our e-shop and at Heritage House in Antwerp, this knife-roll can be made to measure to customize the size of the knife compartments and the color. 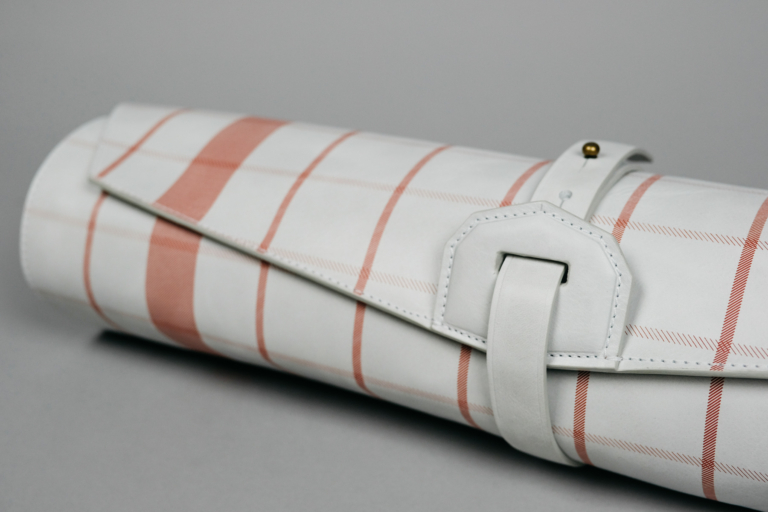 For any further information or order please send us your request by mail.